With the number of “overbore” rifle cartridges popular today, barrel erosion is becoming a hot topic. 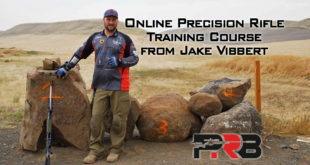 For example, competitive shooters using a 6 PPC typically replace a barrel after 700-800 rounds, and a 6.5-284 might also need to be replaced before the 1,000 shot mark. That means the cost to keep a good barrel on the gun could be 60-70¢ per shot before we even consider the cost of components like match-grade bullets, brass, primers and powder. In reality, short barrel life could easily double your cost per shot. So what can we do to prolong the accurate life of our barrels? There are a number of factors that play into barrel erosion, and these have traditionally been broken down into three categories. However, these factors don’t function independently of each other, but are tightly coupled and act in concert together in an interdependent fashion. Thermal – Include bore surface phase changes (i.e. transitioning between solid, liquid, gas phases), softening and melting, as well as cracking due to expansion and contraction associated with the barrel heating and cooling. Chemical – Include carburizing or oxidizing reactions, which are chemical processes that occur at the bore surface under extreme heat. These cause the barrel to change at a molecular level. Mechanical – Includes erosion caused by direct impingement of gas and solid particles traveling across the bore surface. For a complete technical explanation of barrel erosion, see this white paper published by the Australian Department of Defense: Understanding and Predicting Gun Barrel Erosion by Ian Johnston. 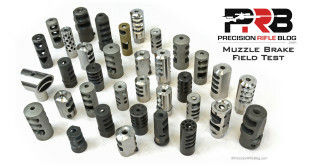 Reduce Load – This may not be an option for velocity-fiens, but backing off from the max load can significantly cut down on chamber pressure and greatly extend your barrel life. 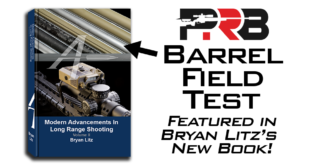 A recent study by the U.S. military shows an almost linear relationship between the amount of powder used and barrel friction. 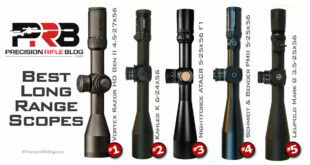 David Tubb on bullet coating: “I have found that moly coated bullets provide extended barrel life. I believe that the coating itself provides a “buffer” of sorts between the powder gases and barrel surface, and also that moly coated bullets result in less heat being transmitted to the barrel. Many time Bianchi Cup champion, Doug Koenig, told me that he can make several more practice runs firing the Barricade Event using moly coated bullets. In this event the shooter secures the handgun barrel against the barricade using his hand; barrel heat build up dictates how long the shooter can make practice runs. Again, moly coating reduced heat build up sufficiently that Doug could get in 3-5 more 6-shot strings before having to stop and allow the barrel to cool. It’s been my experience that moly coating adds at least 20 percent to accurate barrel life. Barrel wear in a centerfire rifle is almost exclusively due to throat erosion (cracks and roughness in the first 3-4 inches ahead of the chamber caused by heat, flame, and pressure). An additional 500-plus rounds may not seem like much, but it will add up over the course of a few barrels. 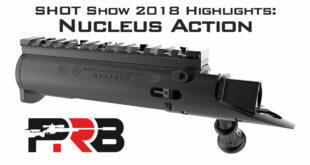 However, that, like many advantages of moly coated bullets, are welcome side benefits to the major improvements that result from their use.” (Update: David Tubb now believes the benefits of boron nitride coating far exceed that of moly). Change Powder – Changing to a different powder may reduce both heat and pressure. Typically powders with slower burn rates reduce throat wear. Treat/Condintion Barrel – There are a few different methods of treating a barrel that claim to extend barrel life, primarily by reducing the friction in the barrel and/or hardening the surface of the barrel. HEF USA offers the patented Melonite process for barrels for around $100. This provides a thin (10-20 micron) layer of surface hardening. 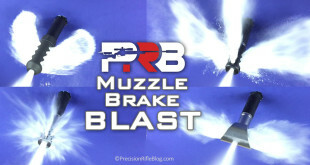 This produces a very slick, very hard surface that provides reduced friction in the bore. Early tests show Melonite barrel treatment can reduce throat wear and increase useful barrel life. Cleaning is not a completely benign procedure so it should be done carefully and no more than necessary. Always clean from the breech whenever possible, pushing the patch up to the muzzle and then back without completely exiting the muzzle. If you exit the muzzle, the rod is going to touch the bore and be dragged back in across the crown followed by the patch or brush. Try to avoid dragging items in and out of the muzzle, it will eventually cause uneven wear of the crown. Don’t use abrasive cleaners. There are essentially two types of cleaners: chemical and abrasives. The chemical cleaners are usually a blend of various ingredients including oils, solvents, and ammonia (in copper solvents). The abrasive cleaners generally contain no chemical solvents and are an oil, wax, or grease base with an extremely fine abrasive such as chalk, clay, or gypsum. Use a quality, one piece carbon fiber or coated cleaning rod with a freely rotating handle. Always use a bore/rod guide that fits both your receiver raceway and the rod snugly. How straight and how snug? The object is to make sure the rod cannot touch the bore. Avoid ammonia – Some copper solvents contain a high % of ammonia. This makes them a great copper solvent, but if left in the bore too long, can damage/corrode the steel. Do not leave these chemicals in a bore any longer than 10-15 minutes MAXIMUM! DO NOT EVER use straight ammonia to clean a barrel. Recrown – Although erosion at the throat is more common, there can also be wear or damage at the crown of the barrel. According to Krieger Barrels “even slight damage to the barrel crown is extremely detrimental to accuracy.” Crown damage can sometimes be mistaken for a barrel being “shot out”, so paying a gunsmith to check and recrown the barrel can often times bring accuracy back for the fraction of the cost. Set-Back Barrel – This involves a gunsmith cutting off around 1” of the barrel (on the chamber side), then re-reaming the chamber. This essentially removes the part of the throat just forward of the chamber, which is where primary throat erosion occurs. You may lose an inch or more of length in the set-back process, but can dramatically extend barrel life. When purchasing a barrel for an “overbore” cartridge, I buy one that is 1” longer than what I really want so I can set it back when the throat starts to erode and still have plenty of barrel length to get the velocities I’m targeting. As the lands erode in the throat of the rifle, one option is to just start increasing the seating depth of the bullet so it maintains that relative position to the start of the rifling. This may not be possible if you are using a magazine fed rifle and the cartridge overall length is already near the max allowed in the magazine. That is why ensuring you have some extra room in the magazine is a key point to consider when selecting a cartridge, but is often overlooked until it becomes a problem. I have personally found this article and video “Very Informative”. I look forward to finding more articles and videos of a similar nature. The science surrounding the ” GUN ” I find fascinating. My particular interest is longer range target shooting with rifles. I am just new to this hobby and finding there is a real ” Science” surrounding all aspects of the ” Rifle “. 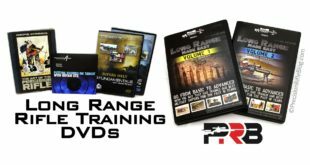 Your article and video have addressed one of the many aspects of knowledge to be considered in this long range target shooting hobby. Good Work! 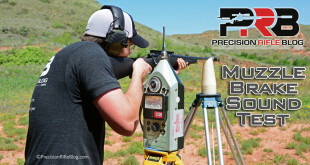 Precision rifles are a beautiful mix of both art and science. I actually think that may be one of the reasons I’m so passionate about it. It’s both. You can’t just figure out the science & theoretical part to get long-range hits. It’s not all about head knowledge. At the same time, you can’t just focus on the art of marksmanship, shooting technique, and rifle configuration/maintenance either. It’s not all about “just feeling it.” With either approach you’d be limiting how successful you could be, but when you combine them … That’s when the magic happens. When you understand what the bullet is really doing (and why) and how all the components work in concert, and combine that with the art of marksmanship … A rifleman is born. I think that’s the same thing that David Tubb calls the “turbulence point.” He says on the 6XC that point is inside the case, but on the 243 (a very similar cartridge with slightly different dimensions and shoulder angle) that point in outside the case in the throat. He believes that why the 6XC provides better barrel life than the 243. The modern/improved design of the 6XC also allows you to use 7 grains less powder to achieve the same muzzle velocity as the 243. Both of those things are great for barrel life, and you didn’t give up anything in terms of external ballistics. Just a better design! Glad smart people are thinking about this kind of stuff, so that I can benefit from it. I wonder how far we’ll be able to improve this in the future. The 6XC has roughly 25% more barrel life than a 243 … will we be able to improve that another 25% or even more in the future? Wouldn’t that be awesome? I want a 6.5-284 with 308 barrel life! Is that too much to ask?! I also buy into David’s throat lapping rounds and think “fire lapping” might be superior to custom lead slug hand lapping since that does only the bore and not the throat. 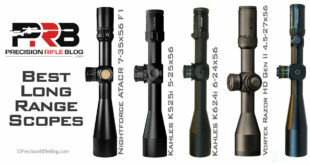 I think throats and muzzles wear out NOT barrels…What think YOU ? I agree throats wear out first. That first inch or two in front of the chamber is definitely what’s going to develop cracks and pits before the rest of the bore. In fact, when I toss a barrel … most of the bore still appears to be in great condition (and the muzzle too for that matter). It’s just the throat that’s past the point of no return. I will say that barrels tend to “slow down” towards the end of their life. By that I mean you could see muzzle velocity drop by 100 fps from what the barrel was producing when it was in its prime (like after the first 500 rounds). I actually don’t know what causes that, but it could be the lands wearing down at a microscopic level and allowing less pressure to build before the bullet exits the tube. I really am guessing at that, so don’t take it as gospel. It’s just the only theory I can think of, and that might mean that the bore wears more than we might think it does. It definitely doesn’t develop pits and cracks like the area just forward of the chamber. That’s ground zero for the high pressures and blazing hot gases, so it makes sense that it wears faster than the rest of the bore. In terms of which lapping technique is better … that’s above my pay grade! What you’re saying makes sense to me, but I don’t know enough about that topic to add anything. An excellent blog but please do not misuse accuracy and precision. They are not the same. Unfortunately there is no word for simultaneous precision and accuracy. Maybe accucision or preac. Precision = How close are the shots to each other? Accuracy = How centered and/or near are the shots to the point of aim? Hopefully this creates some clarity. They are abused, and I’m as guilty as anyone else. Most of the time it’s just semantics, but it can cause confusion. So I hear what you’re saying. Well done. I am certain you know the difference between precision and accuracy but many do not. Precision and accuracy dovetail with two fundamental statistics of a data set, mean and standard deviation (SD). The mean location of the group relative to the aim point is the metric for accuracy and the SD the metric for dispersion of the group. Non-dimensionalized by converting to MOA and one has Precision MOA and Accuracy MOA. I am most interested in the relation between bore wear and group accuracy-precision. I had the complete misconception that within a group as barrel wore-out either precision, accuracy or both degraded progressively until either or both were no longer fit-for-purpose. Not so it seems. It is the presence of flyers with increasing frequency. I would prefer the term outliers as being a well-defined statistical term but…As I understand statistics, outliers do not come from the normal population but rather a different population and represent a different physical process or processes. Fliers do not seem to have been much investigated for obvious reasons. To focus the discussion assume only the barrel causes fliers, that is ammunition, environmental conditions and the shooting platform/marksmanship are absolutely constant. Then for flyers the bullet leaves the muzzle with different characteristics than for normal shots – one, more or all of the muzzle velocity, magnitude and direction, the angular momentum, the bullet itself and the ejecta are the possibilities.. Also perhaps conditions in the transition zone created by barrel are different for flyers. After the transition zone the fate of the bullet is sealed with assumption environmental conditions are constant. At the beginning of my researches so hope that I stated the matter both precisely and accurately. Rick, you have my attention. You’re obviously a sharp guy. I’m intrigued and would love to see what you’re able to uncover on that topic. All of what you said fits my experience. The only thing I’d add is the steady (and sometimes more rapid) decline in velocity is another reason precision shooters consider a barrel unworthy of their rifle and toss it in the trash. As a barrel wears, you’ll eventually notice the muzzle velocity starting to drop. Many guys throw in a couple extra kernels of powder as a barrel wears to keep it running at the muzzle velocity they’re targeting, or they do it in hopes that they can stay at the magical harmonic node where their barrel seems to produce the best precision. But eventually a couple kernels grows into a couple grains of powder, and at some point you just have to let it go. It’s like the doctor doing surgery and the heart beat flat-lines … you lament the moment, call the time of death, and move on to the next patient. At least that has been my experience since I wrote this post a couple years ago. Now, a big part of the problem is groups starting to open up … or perhaps more precisely, the fliers that you described appear. Which is why you got my attention. What you’re saying does seem to fit my experience. So please keep me in the loop on your research. I think there is still a ton we can learn about that whole process. We’re still in the steam-engine days of understanding internal and transitional ballistics, and I know there is much left to be discovered and learned. My pleasure. I know we can have a fruitful exchange of knowledge and hypotheses. By the way I never use muzzle velocity when I mean muzzle speed..But even ballisticians use muzzle velocity so my windmill at which to tilt. You made the interesting comment about muzzle speed dropping as a barrel wears out. Do you know if it does so gradually or are there “speed flyers?” Are the speed flyers in the precision flyers population, or are there three populations, normal, speed flyers and precision flyers? Speed flyers and precision flyers would suggest at least two different processes occurring. I am hoping by understanding the theory and experiments-testing we can apply all that is known from research on all projectiles to small arms bullets. Based on my experience, it is a gradual decline of muzzle velocity. I don’t notice the muzzle velocity SD’s increasing as the barrel wears, but simply the average muzzle velocity (or muzzle speed 😉 ) dropping. Perhaps I should say my actual shooting is at the opposite end of the spectrum from my intellectual interest. Standing, offhand with a precision hunting rifle. The biggest determinate of precision is the gun platform. I think the shooter plays at least as big of a role as the rifle, especially standing offhand. It’s easy to focus on equipment, but you can’t forget about the nut behind the gun. 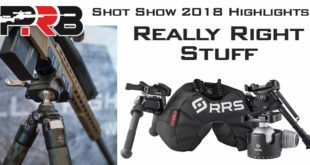 I’m not trying to say the gun platform doesn’t matter … but good equipment won’t make a great shooter. It will only make a good shooter better. Most interesting article to which I subscribe 100%. Several questions. Does the program use GPD, Gaussian Probability Distributions, and for vector variables GPD for both the magnitude and direction? What is the justification for using Gaussian Probability Distributions or is it an assumption? 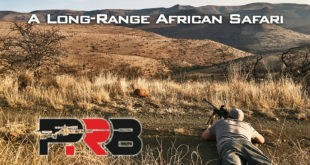 I shoot a Blaser R8 with a 223 Rem standard barrel and an AimPoint 2 MOA red dot. Feel very fortunate my financial circumstances permit me to purchase such fine products. Since the range I use only has targets at 50 and 100 I would shoot 22 Hornet for barrel longevity and more challenge in wind estimation but Blaser does not make a barrel in that calibre. With an overall SD equal 5.7 MOA and extreme more than twice that, no doubt I create most of the imprecision. And the most important aspect to improve is my marksmanship. I am still experimenting to refine what Tubb calls the control position and to improve my trigger control. Rick, I’m not sure what probability distribution they used. That isn’t published in any of the documentation or reviews that I’ve seen. You might be able to ask the Applied Ballistics guys though. They’ve always been really responsive to any of my questions. It definitely sounds like we’re on the same page. I used to spend most of my time thinking about gear, and while gear is important … I try to help people see that the nut behind the gun deserves most of the credit (or blame) for each shot! While gear can compliment a good shooter, time at the range seems to be the biggest thing that will help get more rounds on target. I tried to copy a word document with two graphs but only the text appeared so post unintelligible. Any way to include graphs in a post? For images to be displayed online, they have to be saved on a server somewhere. It’s a security risk to allow people to save random files on your server, and it also costs money to store files on a server. If people could upload files at will, they’d essentially have the ability to drain my bank account. 😉 So that’s why you can’t just copy and paste images into a website. If you want to send them to me, use the contact form and I’ll reply via email and you can attach them that way. 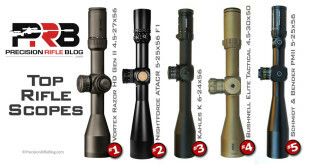 In general, should I ream the barrel for .1″ left to chase? .2″? What do you say? Great question! I can’t claim to be an expert on that, but usually the limiting factor is either staying within magazine length or keeping the bullet seated far enough in the neck of the case that you get consistent neck tension and keep the bullet concentric to the bore. You’ll notice more modern cartridge designs have longer necks, and that is part of the reason why. So how far you can seat out the bullet is really cartridge sprecific. One reason I chose the 6XC was because it had a longer neck (most modern cartridges have 0.3″ necks or longer), and it also had adequate magazine clearance to allow me to continue to seat the bullet out as the throat wears. Those are things that most people don’t think about when selecting a cartridge, but you need to if you’re going to shoot enough that you blow out the barrel. Veteran shooters think about it, and luckily a veteran mentioned it to me. If you use bullets with a tangent or hybrid ogive, those will be less sensitive to distance the bullet has to jump before it contacts the rifling. Secant ogive bullets typically have really high BC’s, but are usually really sensitive to seating depth and they are the ones that require you to continually seat out the bullet as the lands erode to maintain tight groups. Can you still load to magazine length? Or Do you even care if you can load to magazine length? If you’re already at max COAL (Cartridge Overall Length) for your magazine, and you want to continue to be able to load rounds in a magazine, then you need to set back your chamber (or rebarrel to a cartridge that gives more magazine clearance). Does your cartridge have a long enough neck that you can continue to seat out the bullet and still have adequate contact at the neck? If so, you can continue to seat that bullet out and chase the lands until you run out of neck. For consistent neck tension (which many believe to be critical to precision), I prefer to have at least 0.2″ or more of the bearing surface of the bullet in contact with the neck. That’s just a general rule of thumb though, and your mileage might vary. Do you use tangent or hybrid ogive bullets? If so, you may not have to continue to seat the bullet out to maintain optimal precision. You may be able to let the barrel wear, and not worry about where you are in relation to the lands. If I was setting the barrel back, I’d probably do it a little more than 0.1″ or 0.2″. I’m not a gunsmith, but I’ve heard some say that they set barrels back as little as 0.3″, but I like to set mine back either 0.5″ or 1″. It seems like it depends on the cartridge you’re using for how far the pits, cracks, and erosion will have affected the barrel forward of the chamber. 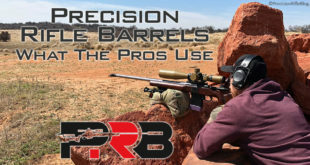 I’ve heard that some of the member of the GA Precision PRS Team use custom heavy palma barrels where the shank (the thick section of the barrel near the action, before the barrel starts to taper) is 1″ longer than a standard heavy palma contour. They do that so they can set their barrels back (presumably a 1″ setback). Hope this gives you a little more context than the standard “until you can’t” answer. I know its frustrating when people give answers like that, so I always try to give a little more context (if I can). Hopefully this helps you understand a couple of the factors that play into this. There may be more. If anyone else knows of things to consider when setting a barrel back, please chime in. 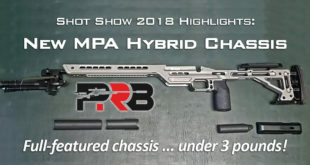 If the Berger Hybrids tolerate long freebore well, that’s awesome. 🙂 I’d been planning 7mm SAUM + 180 Hybrid @ ~2.95 and couldn’t find out how deep the throat should be reamed (could drop all the way down to 2.8, but I wasn’t sure about chasing the lands .15″ would be too much, wouldn’t like to go that short anyway). Sarah, I think you’re on the right track. That sounds like what I’d probably target. But, honestly I lean a lot on my gunsmith to help with decisions like that. I might go in with an idea like that, but I’m willing to be convinced by the knowledgable guy that I’m talking to. A good gunsmith would be able to explain exactly why that would or wouldn’t be a good idea (in a way we can understand), and if they’re worth their salt they’d give you a solid recommendation that isn’t just based on what they’re used to or what everyone else does. That is really the critical gap between an average gunsmith and a great one. A great one is always looking for a better way to do things, an improved process, tooling or approach. All that to say, yes. I’d at least 0.15″ mag clearance, and personally prefer something closer to 0.25″. I’d throw that idea out to my gunsmith and see what they thought about it. They do this all day every day, and hopefully they’ve been doing that for over a decade. So I always really listen when they talk.